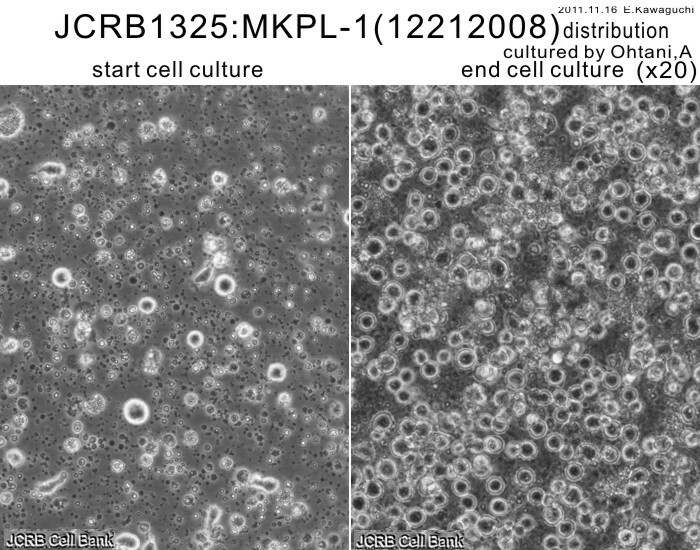 A megakaryoblastic leukemia cell line from human acute myeloblastic leukemia. 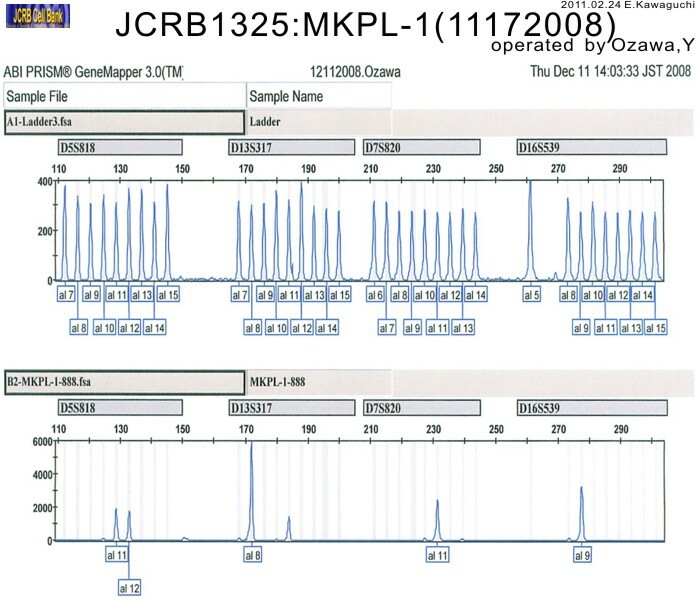 Dt = 30 hr. 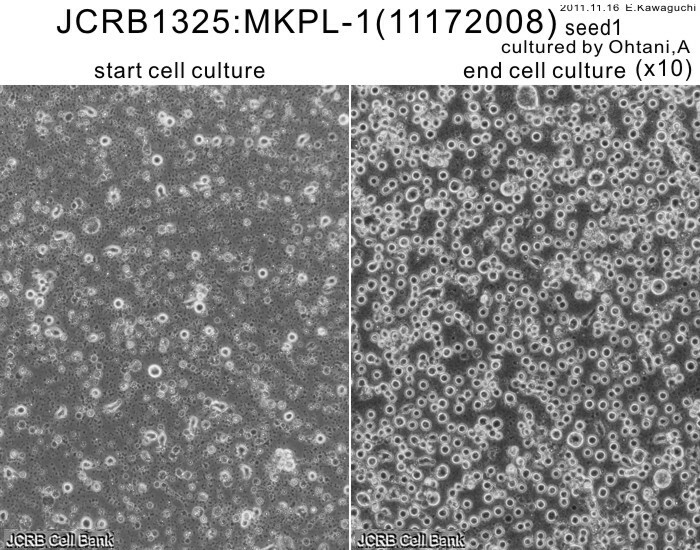 Large primitive blasts with giant cells carrying multilobed nuclei. 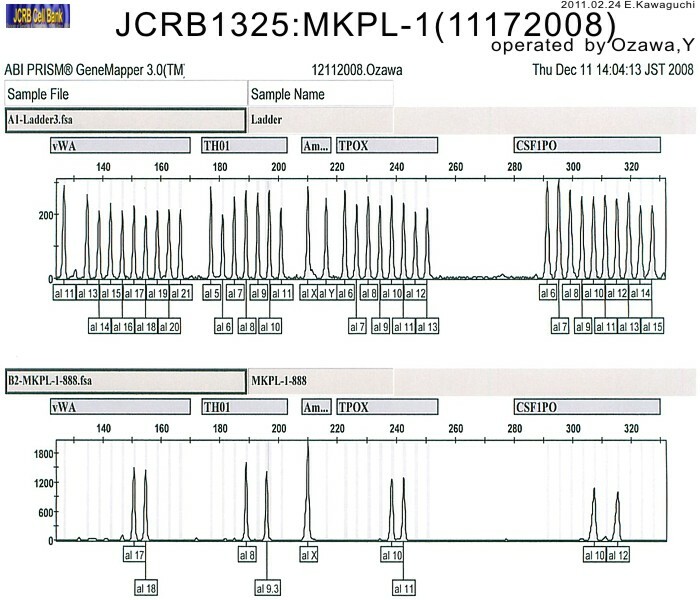 RPMI 1640 medium with 20% fetal calf serum. 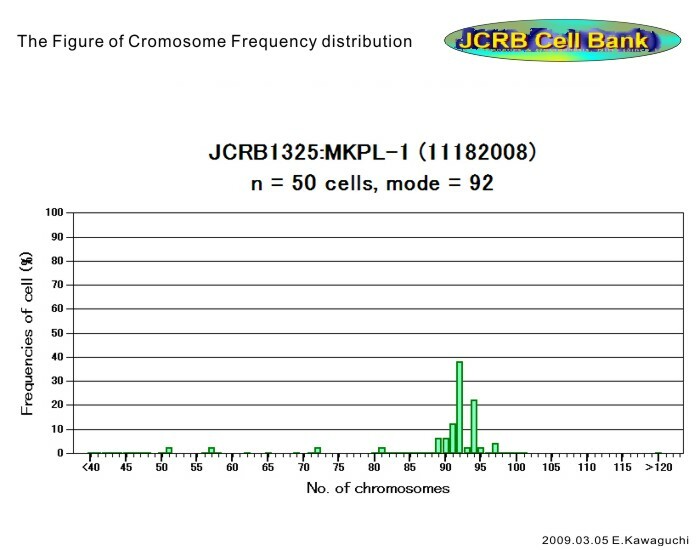 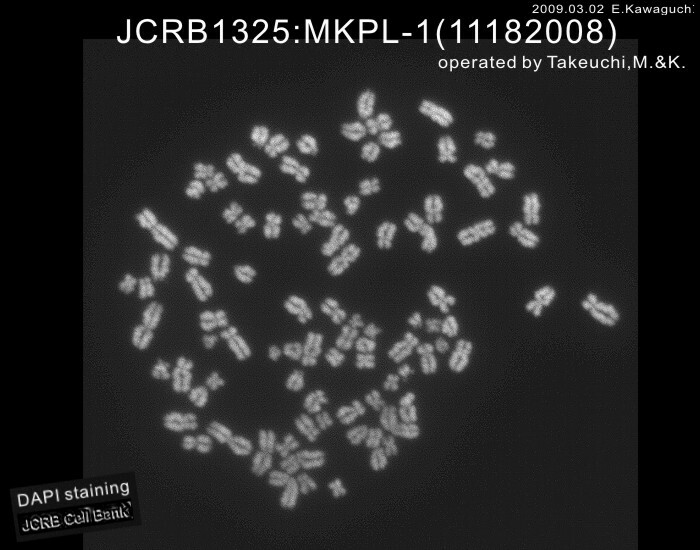 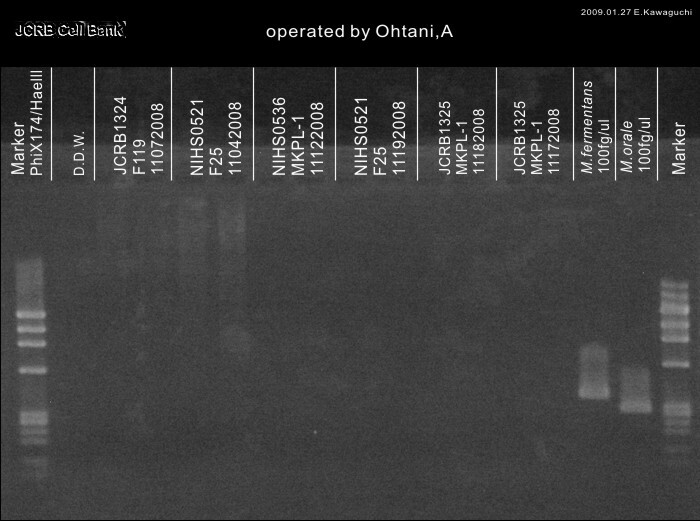 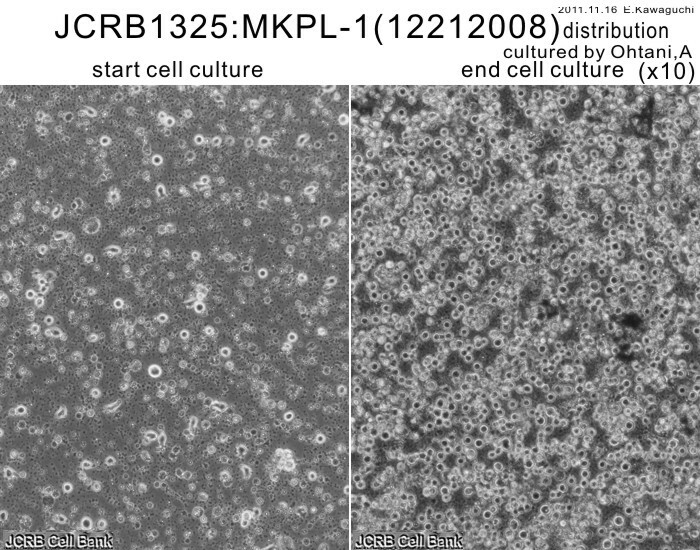 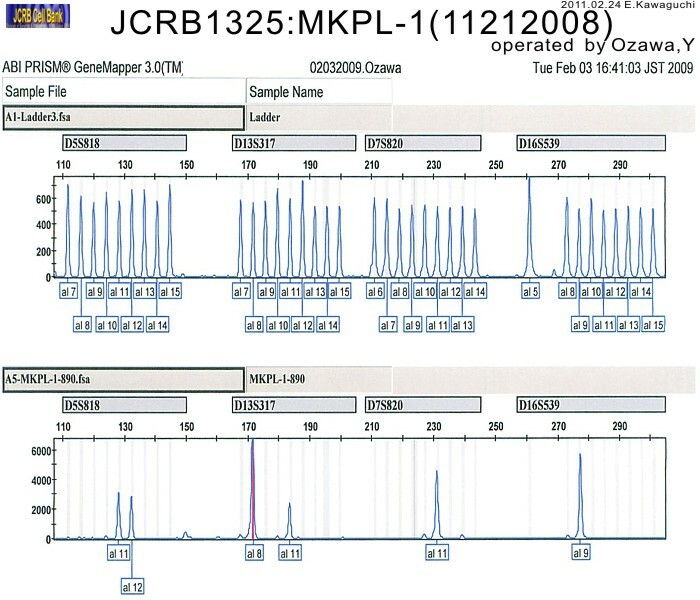 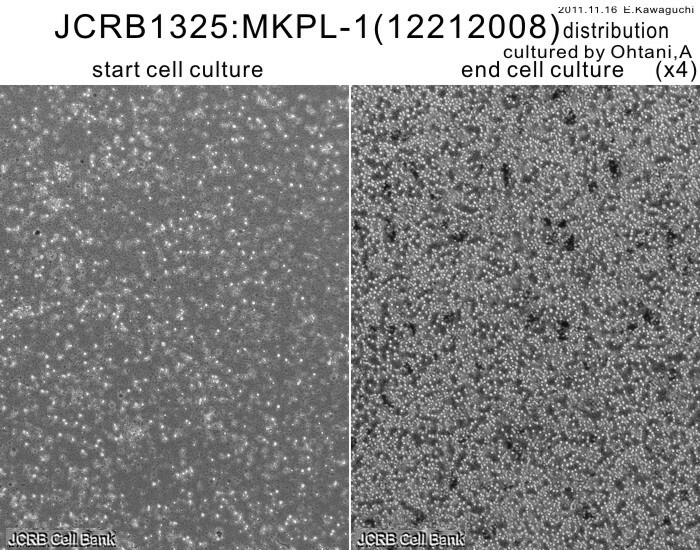 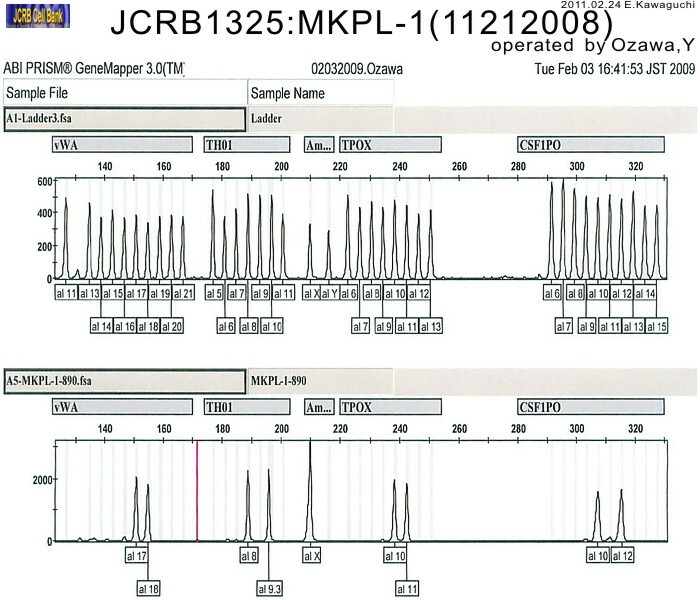 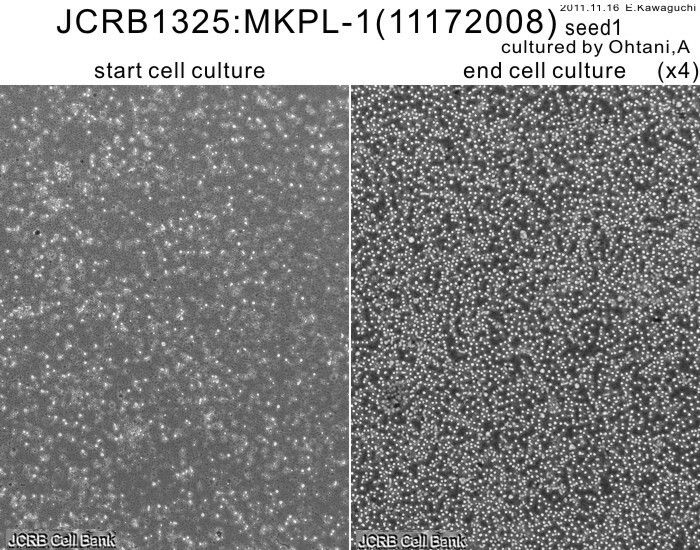 Acute megakaryoblastic leukemia: establishment of a new cell line (MKPL-1) in vitro and in vivo. 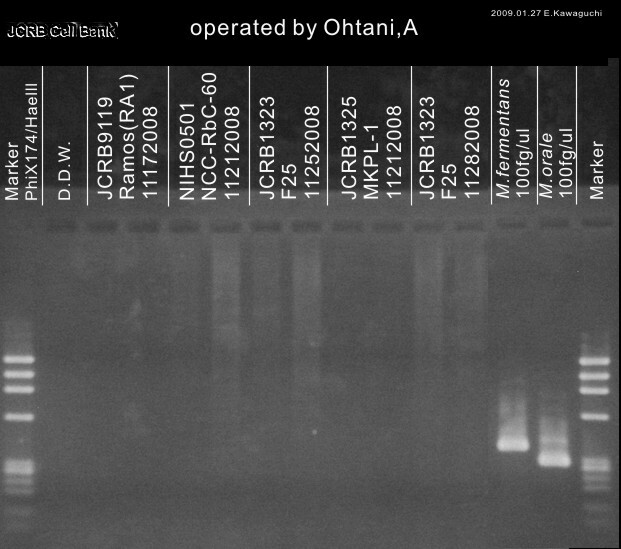 RPMI 1640 medium with 20% fetal bovine serum (FBS; GIBCO Cat. 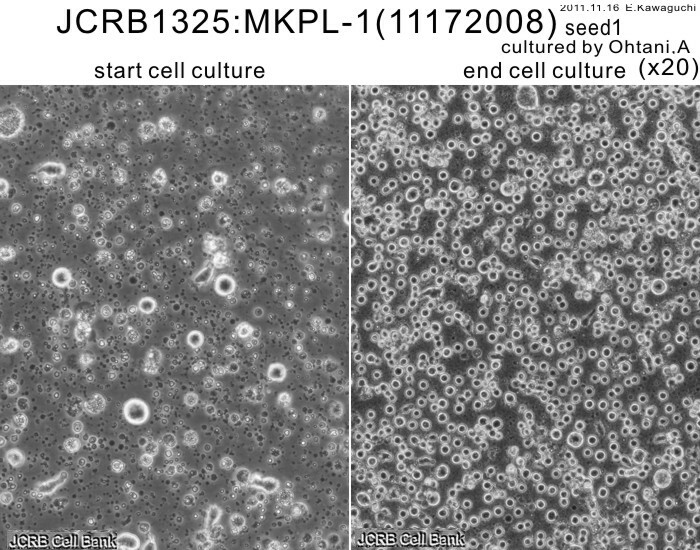 # 10099).